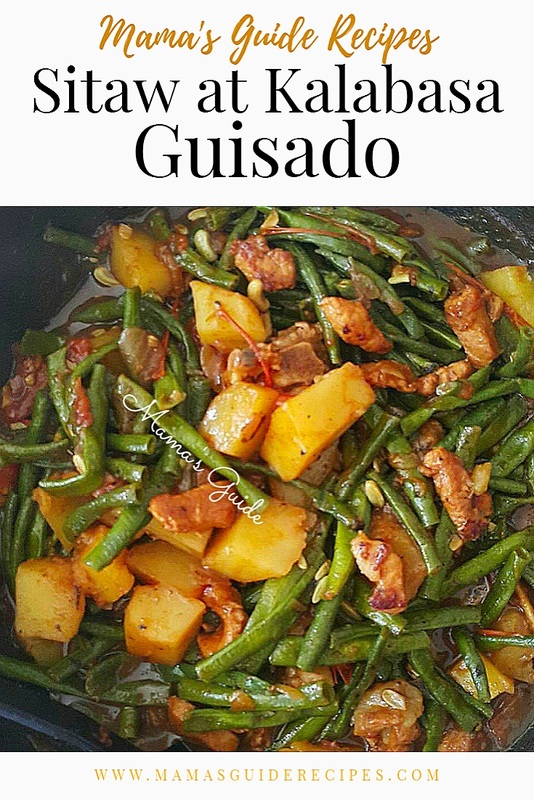 Sitaw at Kalabasa Guisado or sauteed string beans and squash. Simple vegetable recipe that is budget friendly. Happy cooking! Using a medium pan or wok, boil pork strips in 1/2 cup of water until brown and tender. Water will dry out and oil from pork will come out, fry it for a few minutes until slightly brown. Push it on the side of the pan. Saute garlic and onion until transparent using the same pan of pork. Add soy sauce. Cook for few minutes. Add string beans and squash. Stir fry for few minutes. Add water and simmer for 5 minutes. Add patis if needed and a pinch of pepper.